We have implemented the 「Nier Soulworker Warfare」 that was previously an event during the Soulworker 2nd Anniversary as a high-difficulty permanent content. We have implemented the 「Tag System」 where you can get even stronger by applying tags to your equipment. We have added shortcut keys in the NPC UI. By pressing the corresponding key, you will be able to quickly open the corresponding UI. We have changed the price of Jin Seipatsu’s 「Doctor Avatar Set」 during the November 22 (Thursday) maintenance. Items will be available for purchase where you can obtain tags that can be used in line with the new system 「Tag System」. In addition, packages will also be available for purchase which contains tag cubes. 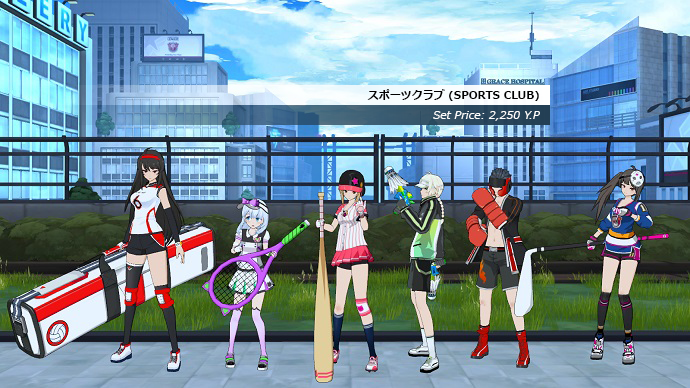 After the November 22 (Thursday) maintenance, Jin and Iris’ 「Sports Club」 Avatars will be available for purchase. We provided compensation for the 「Problem where you cannot connect in-game」 which occurred last November 21 (Wednesday). ※ Since the compensation will be distributed to each account, please be careful not to make a mistake which character you want to receive it. We provided compensation for the extension of the regular maintenance conducted last November 22 (Thursday). ・ After leaving 「Nier Soulworker Warfare」 unintentionally, you may not be able to act normally. ・ The item name of Iris’ 「Sports Club [Lower Garment」 is abnormal. ・ The item name of Iris’ 「[Blueprint] Dark Arbiter Head」 is abnormal. ・ An item that is not included in the Trick or Treat Avatar Set is listed in the tooltip. ※ The 「Jack-o’-Lantern」 is not included in the Trick or Treat Avatar Set.